Hypnotherapy uses relaxation techniques to allow your conscious mind to drift away so that access to the subconscious part of the brain can be gained. This powerful process often results in the formation of new thought and behaviour patterns which start to occur automatically in the individual and which become part of their everyday life. The main established benefits for hypnotherapy are in dealing with smoking and other addictions, stress, depression, anxiety, lack of confidence, phobias and weight control or any problem which requires a change in our emotions, memories or habits. A fascinating avenue for the more adventurous is the exploration of subconscious memories of previous lives as well as memories of earlier episodes in your current life. Alan's powerful therapeutic techniques allow you to go back to both positive and negative episodes, to people and places already encountered. Whether you believe in reincarnation or not you will benefit enormously from this course. And don't worry, hypnosis is not a form of mind control, but rather a form of mind expansion in which you remain firmly in control. During this four-day course which starts with dinner on Monday evening and ends with an early breakfast on Saturday there will be a group session every morning followed by individual sessions in the afternoon which will be tailored to participants’ needs and interests. 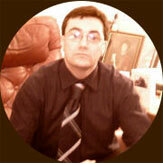 Doctor Alan Curley PhD, runs the private hypnotherapeutic and mind-skills clinic in Paisley, Glasgow, Scotland. Dr. Curley is a member of the British Society of Clinical Hypnotherapists (BSCH), and is one of the most qualified hypnotherapists and mind-skill experts in the UK. Alan started his career as a research scientist in medical biochemistry. He gained his PhD in genetics of brain and bone disorders at Imperial College, University of London, and later carried out research into sleeping sickness at Glasgow University. After leaving academia Alan concentrated on hypnotherapy and he became well-known for his work with addictions, particularly smoking. He then employed his techniques for beating addictions to beating opponents in sports, see www.uc-mindsolutions.com.